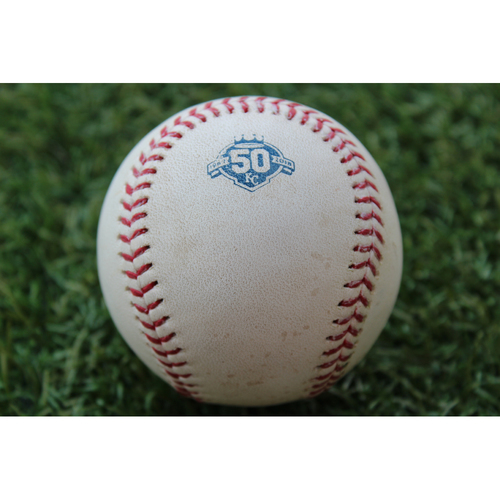 Bid now to win this game-used baseball hit by Ryan O'Hearn and Hunter Dozier on August 16, 2018. Ryan O'Hearn singled on a ground ball to Teoscar Hernandez in the bottom of the 4th inning. Jorge Bonifacio scored. Hunter Dozier doubled on a sharp left fielder Teoscar Hernandez. Ryan O'Hearn scored.